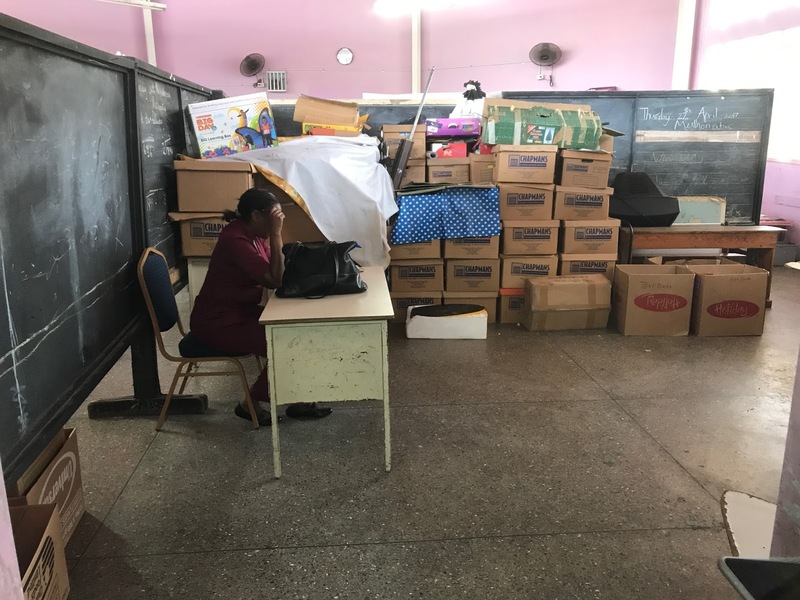 It’s a terrible thought to think that young children believe they don’t matter, but that’s what some of the students of the Cocorite Government Primary School in Trinidad thought when they entered their outdated and overcrowded school every day. That’s where Project CareTT stepped in. The non-profit organization gathers volunteers from construction workers, suppliers, friends and clients to make a difference in the lives of the less fortunate in Trinidad, especially the youth. 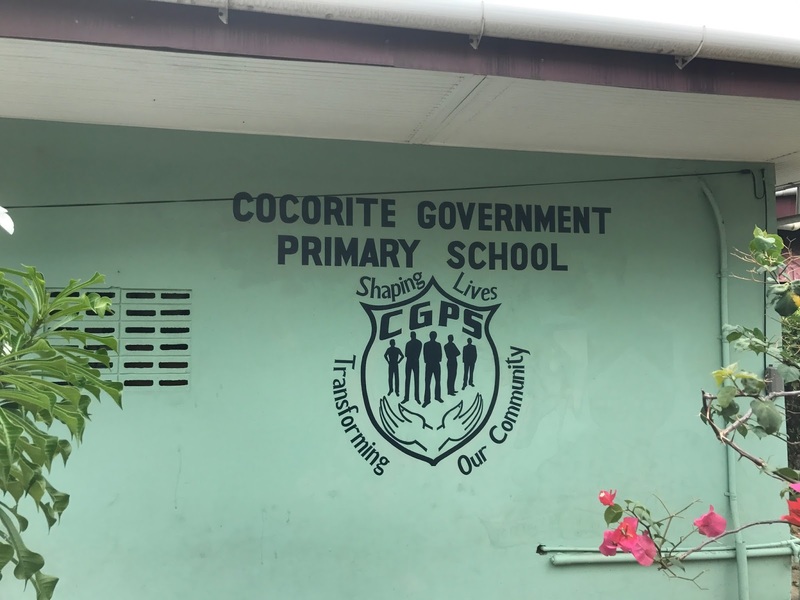 The project they selected to undertake in 2017 was the Cocorite Government Primary School. LATICRETE® was fortunate to get involved in this project through our longtime friend and LATICRETE customer, Ryan Ali Managing Director of Sanitation Solutions in Trinidad. 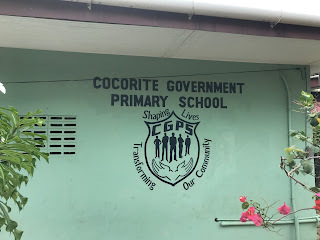 When he told Wayne Hoerning, LATICRETE International Regional Manager for the Caribbean and local rep, Alejandro Luna, Technical Sales Representative about the project, they knew we had to get involved. The $1m project included a complete renovation and expansion of their assembly hall, library, restrooms and hallways. With limited time to get the project done, we knew that they needed a durable and quick solution to re-do all of the 4,500 ft2 (418 m2) of flooring. Our SPARTACOTE™ Chip multi-coat (flake) broadcast concrete coating system was just what they needed. 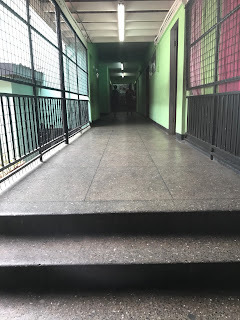 It’s the only system that can be done in this short time period besides carpet (and who wants carpet in a school)! 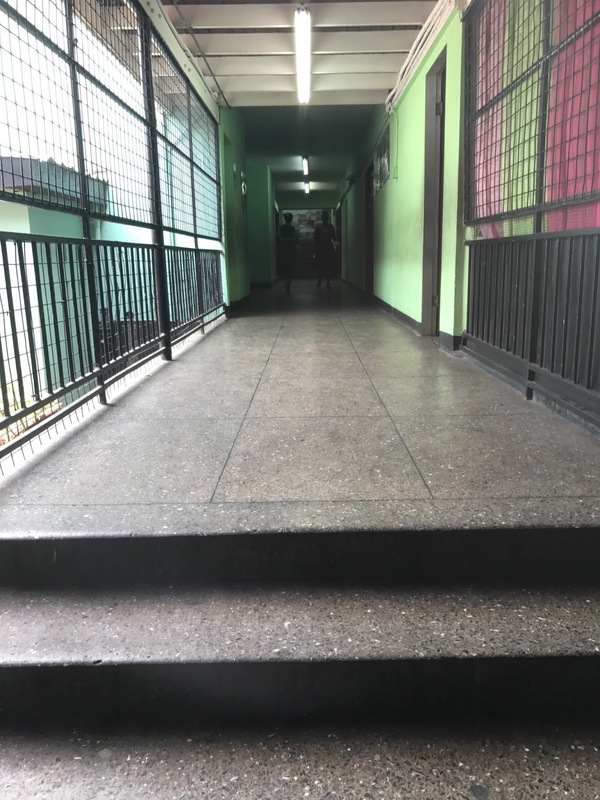 On May 19th in just 7 short hours, Ryan Ali and his team prepped and primed the old cement terrazzo floors in the school and then applied the SPARTACOTE™ Chip concrete coating system. See the new SPARTACOTE Chip floors at the 3-minute mark in this project video shot by Project CareTT. The dedication of Project CareTT, Ryan Ali, companies like LATICRETE who donate materials, and friends make projects like this possible. 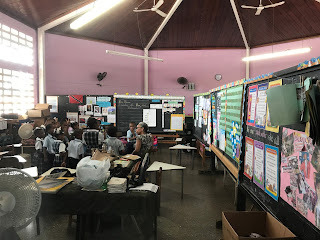 We all come together as a team to put smiling faces on the youth of Trinidad. See how priceless the student’s reactions are in this quick video. Products Used: SPARTACOTE™ Chip in Copper Mountain (assembly hall), Midnight Blue (bathrooms) and Granite (hallways/library) and SPARTACOTE™ FLEX SB™ CLEAR.